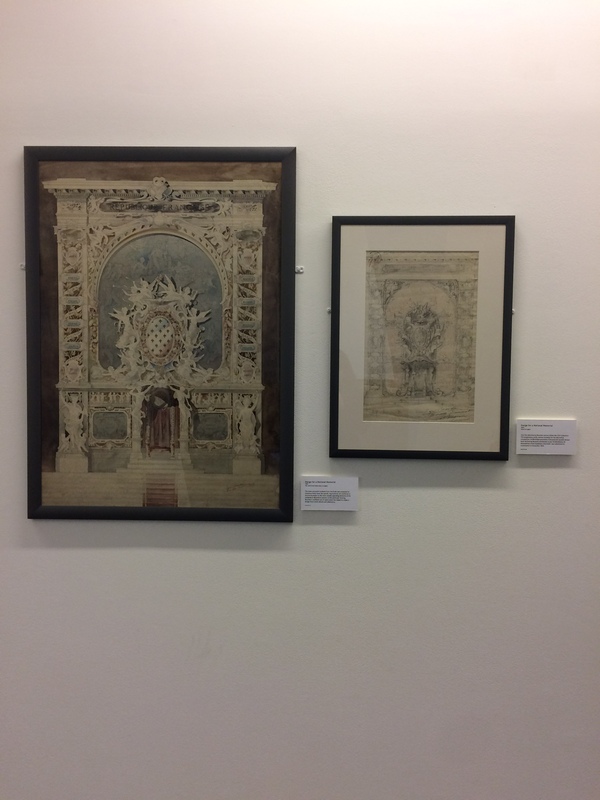 Now residing in the Reid Building ground floor corridor is the exhibition Eugène Bourdon, From the Classroom to the Battlefield. 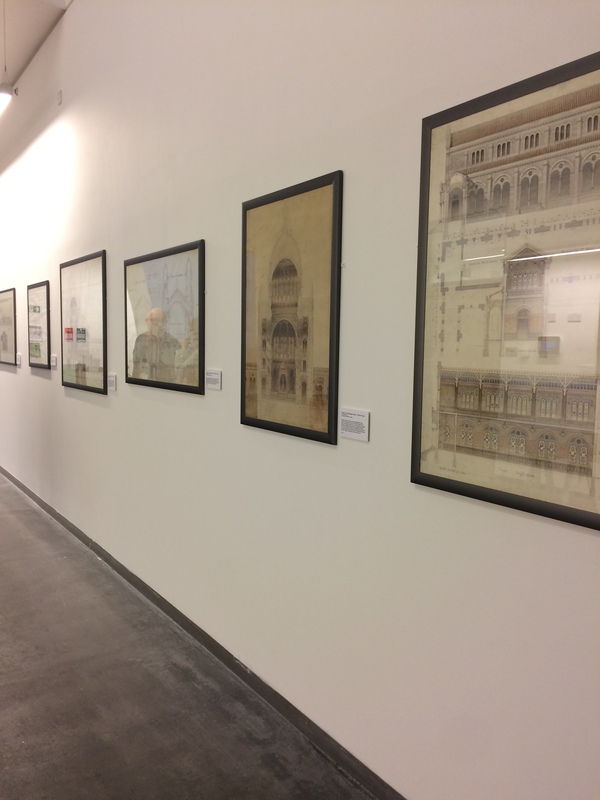 This exhibition focuses on the career of Paris-born Eugène Bourdon, The Glasgow School of Art’s first Professor of Architectural Design whose life was lost while serving with the French Forces at the Battle of the Somme in July 1916. 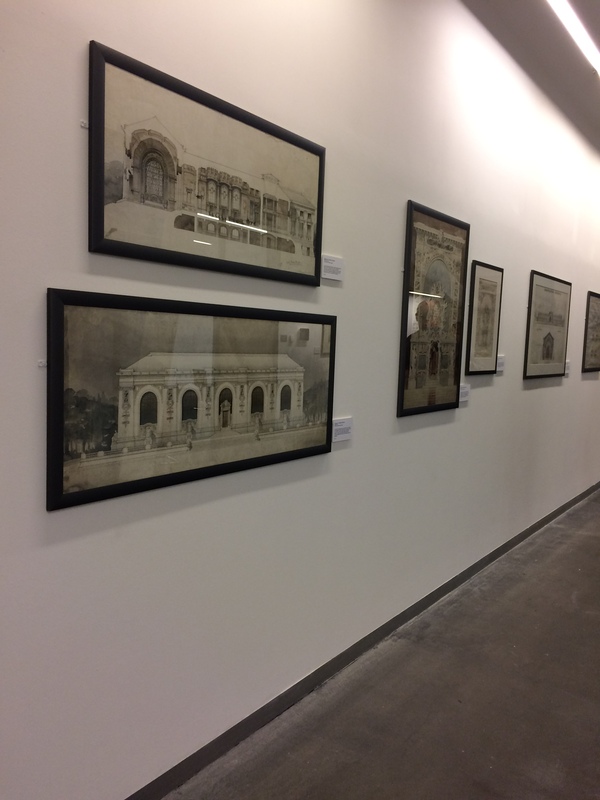 Curated by the GSA Archives and Collections Curator, Peter Trowles, this exhibition displays some of the 100+ architectural drawings produced by Bourdon in the 1890s whilst he was a student of the Ecole des Beaux-Arts in Paris. 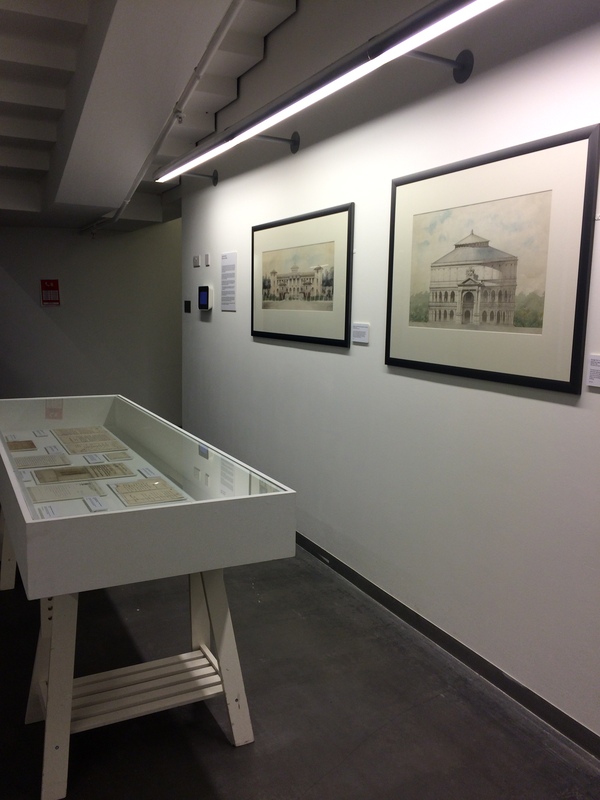 This is the first exhibition dedicated to Bourdon that highlights many of his previously unseen work. 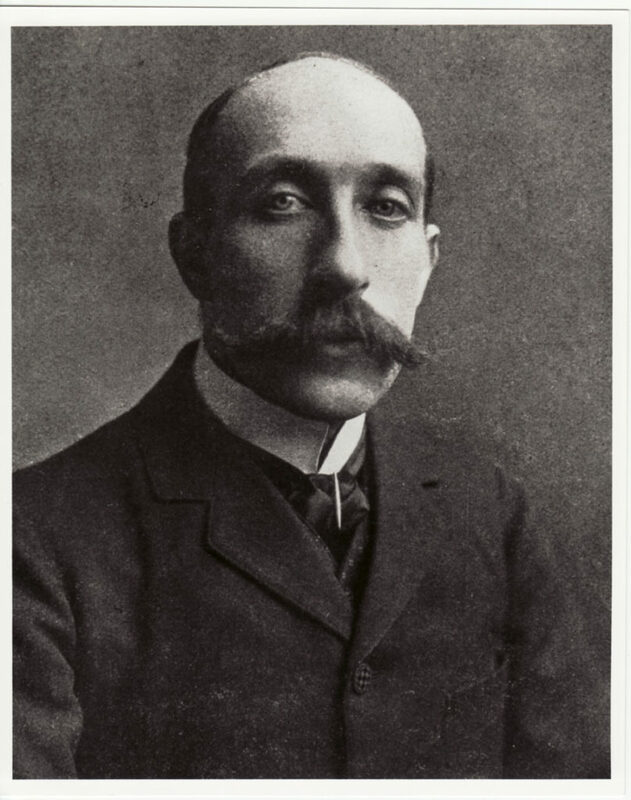 Bourdon taught from 1904 until the outbreak of the First World War, where despite being 44, he volunteered to serve. He quickly reached the rank of Staff Captain in the 78th Brigade, was twice been mentioned in Army Dispatches and was awarded the Croix de la Legion d’Honneur, the Croix de Guerre and the British Military Cross. 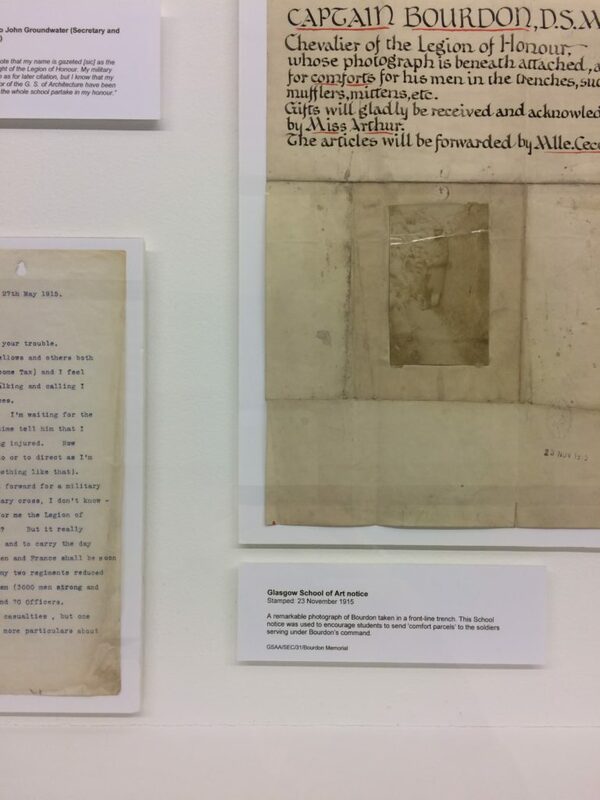 This exhibition not only shows a sample of Bourdon’s artistic ability but includes many pieces of correspondence from Bourdon to the School during the war and notes of sympathy after his passing, all of which attest to his character and abilities. 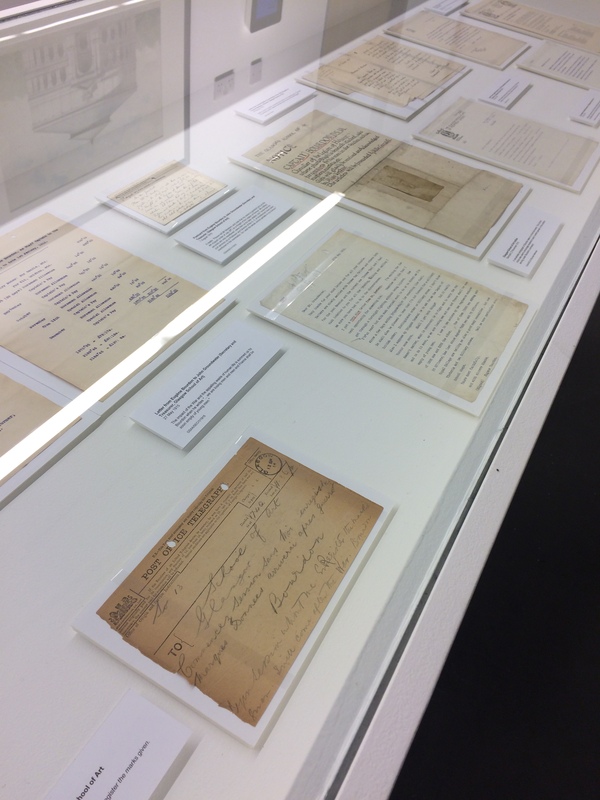 More can be read about Eugene Bourdon and the records we hold relating to his life in the GSA Archives and Collections in the series of posts titled Remembering Bourdon researched and written by our Archives and Collections Project Assistant Fiona Hall. These can be found here. 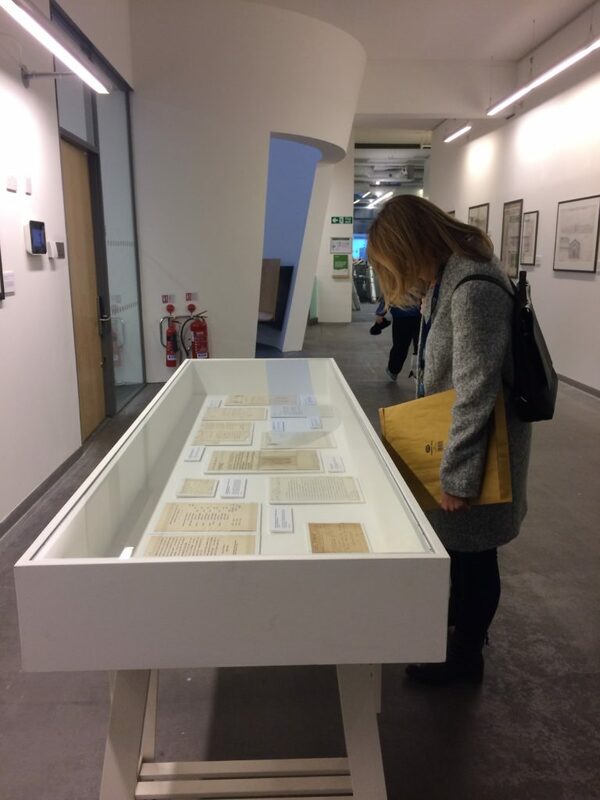 This exhibition will run until the 4th December and I highly recommend you take this opportunity to look at some of the amazing, never-seen before work of Eugene Bourdon. Until next time!